It was a shift from dark, overtly reactionary ideas to a deceptively sunny version of the prevailing corporate agenda. That’s what voters across Canada got on October 19. Many people were spooked by the autocratic, racist wedge politics of the Stephen Harper Conservative regime. Desperate for ‘change’, they opted for the major party that seemed to offer a bigger break with the mean, fearful, bleak status quo. That was the Liberal Party, led by photogenic, 43-year old Justin Trudeau. In the process, change-seekers demoted the labor-based New Democratic Party of Tom Mulcair from first to third place in the polls. 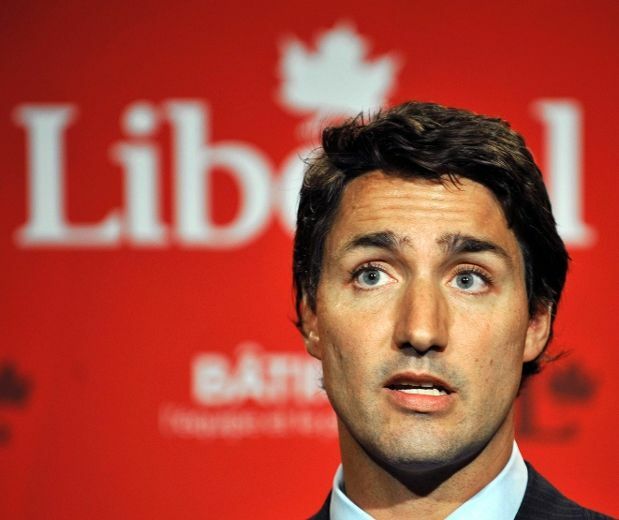 Mulcair made it relatively easy for Trudeau to appear to outflank him on the left. The NDP chief ran a stodgy, overly cautious election campaign whose balanced-budget mantra appealed futilely to fiscal conservatives. It offered little respite for the sufferers of the war on wages, and for victims of the ravages of precarious employment. 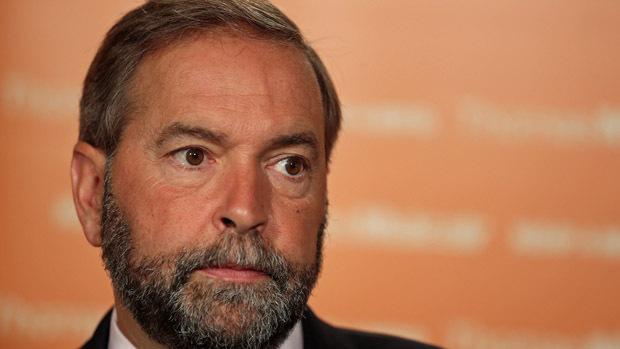 On pipeline building, Mulcair went from being an advocate to being ambiguous. His weak policy on the environment, including his feckless ‘cap in trade’ position, hurt the party in Quebec as much as his principled defense of the right of Muslim women to wear a veil in public. A great amount of money was spent on the 11-week campaign, the longest in modern Canadian history. Over $40 million just by the Liberal Party. Over $50 million by the Tories. The NDP likely a lot less. But the big spenders pumped up the Liberals from third to first place. Which begs the question: Why did significant sectors of big business turn away from Harper, and towards Trudeau, especially over the past year? Could it be that the Conservatives’ harshly confrontationist, bullying behaviour hurt more than it helped the rulers implement the capitalist austerity agenda in Canada? Perhaps a significant section of the corporate elite would rather access the scientific data that Harper buried. Perhaps the bosses prefer not to risk shattering illusions in bourgeois democracy when Liberal deception will suffice. It’s time for Mulcair and his team to go! manipulative rule of the Harper-led Conservatives. It was not just a rejection of their loaded omnibus bills, repeat prorogations of Parliament, and voter suppression tactics. Nor was it simply a triumph of style over substance, a la Trudeau. It was also an indictment of the overall political direction of the NDP. The course taken by the party is not exclusively the fault of Tom Mulcair. But those responsible for it certainly include the staff he selected and the stifling political culture that he, and the iconic Jack Layton before him, fostered. Certainly, Canada’s ‘first past the post’ electoral system grossly exaggerated the parliamentary outcome in favour of the Liberals. With only 39.5 per cent of the popular vote, the Liberal Party captured 55 per cent of the seats in the House of Commons (184 of 338 MPs). The Conservatives’ 31.9 per cent share of the votes translated into 99 seats, or 29 per cent of the Commons. The NDP’s 44 elected MPs, a precipitous drop from 103 seats in 2011, represents only 13 per cent of the seats, despite garnering nearly 20 per cent of the votes cast in 2015. Also underrepresented are the Bloc Quebecois, which picked up 10 seats, and the Green Party one. But there is no denying the massive move to the Liberals. Millions of ballots were transferred from past NDP supporters, as well as from new and occasional voters. The overall turnout rose from 61 to 68 per cent of the eligible electorate. The union-linked NDP, which campaigned like a fiscally conservative big business party, failed to win the hearts and minds of people looking for action to lift the country out of economic stagnation, and to reverse deepening social inequality. In the wake of “the NDP’s disastrous move to the mushy middle”, as described by Desmond Cole in the Toronto Star on October 15, the NDP Socialist Caucus called on Tom Mulcair to resign as federal leader. It asked the party’s federal executive to set in motion a process to select a new leader and adopt a new political course that will advance the interests of working people, youths, seniors, women and the victims of bigotry, racism and militarism. 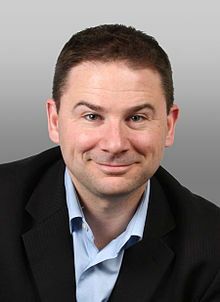 The NDP ‘brain trust’, including Brad Lavigne, George Smith, Ann McGrath and Karl Belanger, ought to go too. They vanished the party’s adopted policy resolutions from the NDP web site. They blocked or removed pro-Palestine New Democrats from being party candidates. They silenced Linda McQuaig for stating the obvious — that oil and gas resources must be left in the ground if Canada is to meet its carbon emission goals and curb catastrophic climate change. Clearly, the problem is not just the Leader and a small group of party officials. It is a large, super-centralized apparatus; it is a lack of internal democracy and debate; and it is a general political direction that subordinates the needs and aspirations of millions to the survival of an outmoded and environmentally toxic economic system. Lasting change must be generated from the bottom-up. But surely, that must include seeking the removal of the Leader and officials who do not listen to the membership. Folks, get ready. Be prepared to be disappointed by the past-masters of deceit and deception — by the party that held the reins of government in Ottawa longer than any other in the 148 years since Confederation. Trudeau and the Liberals promised a tax break for middle income earners. It will amount to peanuts. Slightly higher taxes on upper incomes will not put a dent in the banks and giant corporations that are raking in billions, often hiding their riches in offshore accounts. In fact, the politically well-connected super-rich in the construction sector will be the prime beneficiaries of new expenditures slated for infrastructure repairs. concerning Muslims and Arabs detained in Canada for many years without formal charges or trial? In addition to voting for C-51, the Liberal Party backed Harper’s law against “Barbaric Cultural Practices”, objecting mainly to the name. Perhaps they will rescind the ‘snitch line’. Perhaps they’ll repeal the law to strip the Canadian citizenship of dual citizens convicted of ‘terrorism’ in thought or deed. But curb police powers? Just ask newly minted Liberal MP Bill Blair, the former Toronto police chief who was in charge when over 1,000 G20 protesters were detained without charge in 2010. Justin Trudeau said he wants to examine the still-secret details of the Trans Pacific Partnership agreement. He hastened to add that the Liberal Party is pro-trade. That really means it favours corporate property rights over the needs of the vast majority of the population. Expect to see the TPP ratified in Parliament, and CETA likewise, regardless the cost in auto and farm jobs, higher medical drug prices, and the loss of environmental and social protections that will be even more subject to corporate challenge before trade dispute tribunals. Will the promised public enquiry into missing and murdered indigenous women produce another hollow ‘apology’, or will it lead to punishment of negligent police officials? Will it issue a set of recommendations destined to gather dust, or cause a real transfer of corporate wealth to indigenous communities to foster good jobs, quality health and education services, and end the super-vulnerability of young women to drugs and sexual abuse? Trudeau pledged electoral reform. But you can bet your bottom dollar it won’t be proportional representation. If anything, it will be ‘ranked balloting’, a mechanism is designed to distribute second and third preferences to establishment parties. The discredited Senate, with or without the fig leaf of ‘non-partisan’ appointments, will continue to squander money and oxygen. The Liberals said they’d halt the termination of home mail delivery, but not reverse it — much less restore lost mail services and maintain letter carrier jobs. Legalization of marijuana will be welcomed by consumers. At the same time, it will primarily mean huge profits for politically well-connected growers and marketers. Trudeau will go the COP21 conference in Paris in December. He will talk a good game on climate change. But his commitment to the oil patch, to tar sands development, to ‘cap and trade’ (i.e. the sale of permits to burn carbon), will show where he really stands on climate justice and indigenous people’s rights. Trudeau pledged to end Canada’s combat mission in Iraq and Syria, but not to end Canadian Forces’ involvement in NATO, and in so-called training operations in Ukraine, Afghanistan, Congo, Darfur, Sudan, the West Bank, and Haiti – all in support of right wing regimes. Ottawa’s backing for the Zionist apartheid state of Israel will be undiminished. Canada should accept many more Syrian refugees. Even if Trudeau’s goal of 25,000 by the end of 2015 is met (extremely unlikely), the causes behind the displacement of millions — war and climate change — can be addressed only by halting western military intervention into the resource-rich countries of the South and East. Pious Liberal promises to re-settle hordes of refugees cannot ameliorate the profit-lust and dire humanitarian consequences of imperialism. 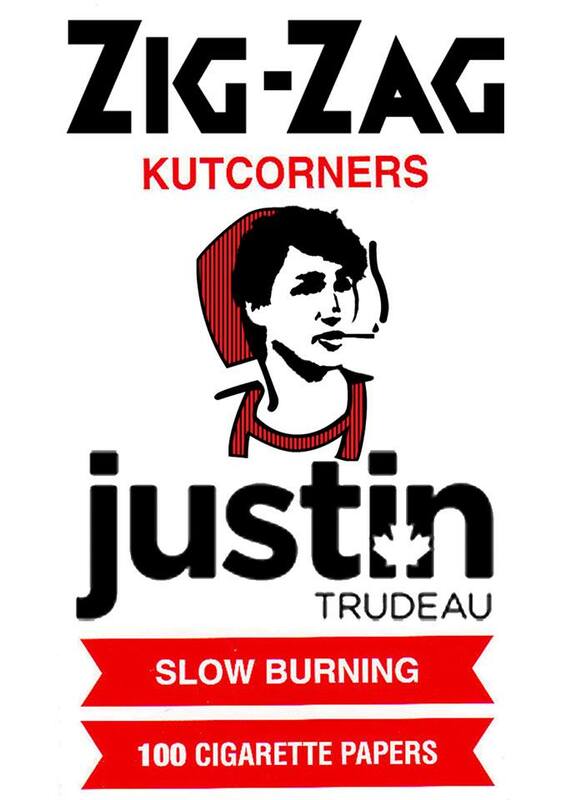 Instead of taking a wait-and-see attitude, labour and social justice activists need to hit the streets now to demand positive action from the Trudeau government on all these fronts. Good jobs for all. Tax the rich. 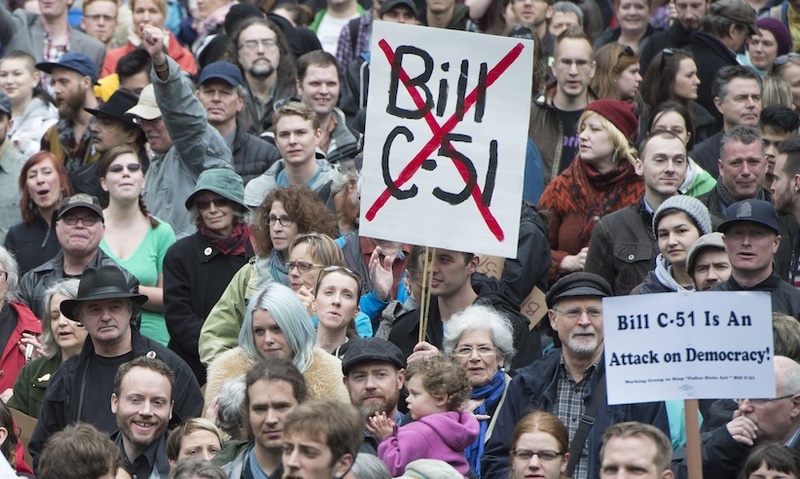 Repeal C-51 and anti-labour laws C-377 and C-525. No to the TPP and CETA. Fully restore home mail delivery. No new pipelines. Nationalize Big Oil and Gas and the giant banks, and invest heavily in public green energy systems. Justice for indigenous peoples. Canada out of NATO. Bring the troops home. For public ownership of the commanding heights of the economy under workers’ and community democratic control. Those should be the demands of every union, of every working class and popular organization, and of the NDP. Sadly, for decades, the party and labour brass have been veering to the right. The result has been more and more concessions to Capital, and less democracy in the workers’ organizations. Electorally, it has been a time of weak, short-lived electoral gains, followed by setbacks and disasters for the NDP. 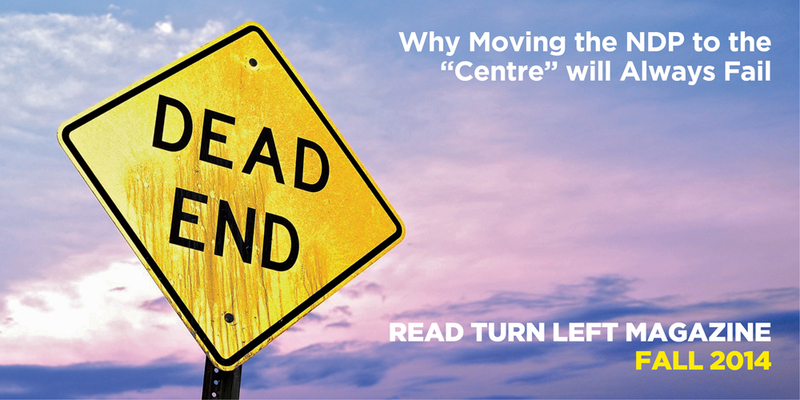 Between 2011 and today, the party blew a provincial election in British Columbia, lost government in Nova Scotia after only one term, failed to advance in Ontario (where provincial Leader Andrea Horwath pledged no new taxes and a balanced budget – sound familiar? ), and the NDP government in Manitoba plunged in popularity. The jury is still out on Rachel Notley’s crew in Alberta, whose first provincial budget took a direction opposite to Mulcair’s. But the verdict on Mulcair and company is clear. The NDP brain trust masterminded the biggest loss of seats in party history. Many good MPs, like Megan Leslie and Andrew Cash, went down to defeat. They will be missed. Pro-military Peter Stoffer, and the profane anti-socialist Pat Martin, not so much. The party was shut out in Altantic Canada and Toronto. It was severely cut down in Quebec. Sadly, star social justice advocate Linda McQuaig failed in her second bid in Toronto Centre. Happily, leftist MP Niki Ashton, who ran for federal Leader in 2012, was re-elected in Churchill, Manitoba. She is joined in Parliament by left economist Erin Weir from Regina-Lewvan. So, there is hope. But hope must be accompanied by political clarity, unity in action, and relentless struggle from the bottom up. The NDP, the only mass, labour-based political party in North America remains viable as a potential challenger to capitalist austerity, climate injustice, social inequality, racism, sexism and war. Jeremy Corbyn’s stunning leadership victory in the British Labour Party, ongoing grassroots opposition across Europe to the EU bankers’ agenda, the Bernie Sanders phenomenon in the USA, and even the ouster of the hated Stephen Harper regime in Ottawa all show a growing appetite for fundamental change. That is the agenda the NDP Socialist Caucus vigorously advances. We will discover Canada’s Jeremy Corbyn as we take up the struggle against the ruling rich, their state, and the misleaders of the working class.